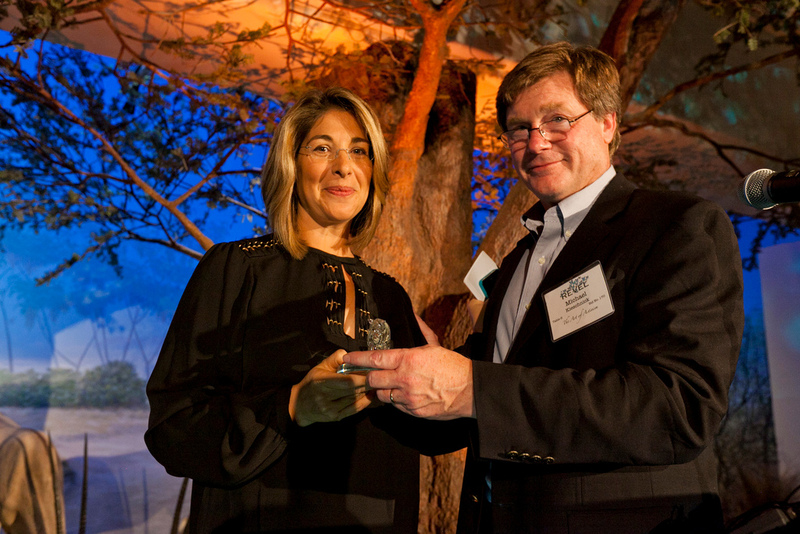 Above: REVEL 2011 Awardee Naomi Klein with Michael Kieschnick. Michael Kieschnick is a founder (1 of 3 individuals) and president of Credo Mobile. Prior to co-founding Working Assets, he served at the U.S. Environmental Protection Agency, as an economic advisor to Gov. Jerry Brown of California (1980–1982), and helped create several “socially responsible” investment funds. [Image: Rainforest Action Network via Flickr. Rainforest Action Network’s ultra white and ultra elite, annual benefit REVEL event : “It was a gorgeous affair.”] Both Klein and 350.org counterpart Tom Kruse (Rockefeller Brothers Fund) are utilized to promote the illusion that “philanthropy is an engine that drives activism” when in truth, philanthropy is an engine that protects capital interests. Kieschnick (“eco” capitalist extraordinaire) and Bill McKibben (Klein’s counterpart: 350.org/1Sky), go back to at least 2007 during the days of Step It Up. If Naomi Klein’s colossal con sets the standard for mesmerizing the infantile, then we might want to investigate how stating the obvious makes one a celebrity. When we examine Klein’s claim to fame, what is it that makes her such an iconic cult figure? Did she uncover some deep, dark secret? Reveal some sinister conspiracy? Unveil some magical alchemy? The threat of climate change has been documented for over a decade; the causes are well-known. Any school child knows fossil fuel consumerism is the culprit, and that capitalism is the driving force. So what new insight did Naomi Klein bring to the discussion? That ecological and social collapse means This Changes Everything? How trite can you get? Nevertheless, as the queen of climate change, Comrade Klein has considerable influence, helped immensely by the capitalists sponsoring her royal float (350.org) in the upcoming parade of imbeciles. Her innate ability to mesmerize the infantile is undoubtedly her biggest asset, certainly a reason for Wall Street’s support for her charlatan charade. Deceiving the despondent by celebrating silliness (i.e. fossil fuel divestment) is but one of Queen Klein’s devious skills; manipulating the credulous into marching behind her logo of false hope is the envy of Mad Men everywhere. At this rate, her brand recognition is right up there with the king of con, Barack Obama–master of Hope and Change! RA-Cert, a division of the Rainforest Alliance, supports the organization’s mission by delivering sustainability auditing, verification, validation and certification services based on the best available global standards. RA-Cert conducts its work with the highest integrity, transparency and quality in order to generate positive economic, ecological and social benefits for our clients and worldwide.